Gratitude is magical. But only when we look back and see how far we have come in Life. Only when we look at our now and see what we have despite whatever we don’t have. And only when we look at tomorrow with a sense of hope. How true. It is this spirit that being grateful celebrates. Thanksgiving does not mean waiting for the last weekend of November each year to say your thanks for all that you are blessed with. Thanksgiving must be a daily celebration. Much as we postpone happiness, we postpone gratitude as well. We have in fact made gratitude conditional to happiness. ‘I can be grateful if I am happy’ has become the excuse we subconsciously keep giving ourselves. Remember that Life acts in ways beyond our comprehension. Yet every now and then you will find people who are grateful to Life for the opportunity they have to serve humanity. These are folks who rise above their current realities and problems and look at themselves as solution providers, enablers, who serve because another’s need is more than their own. If Mother Teresa is an ultimate example of selflessness, let us also know that there is a serving saint dormant in each of us. That saint within us will become awakened only when we practice gratitude. Gratitude is like this. It is the key for unlocking the mystery of Life. 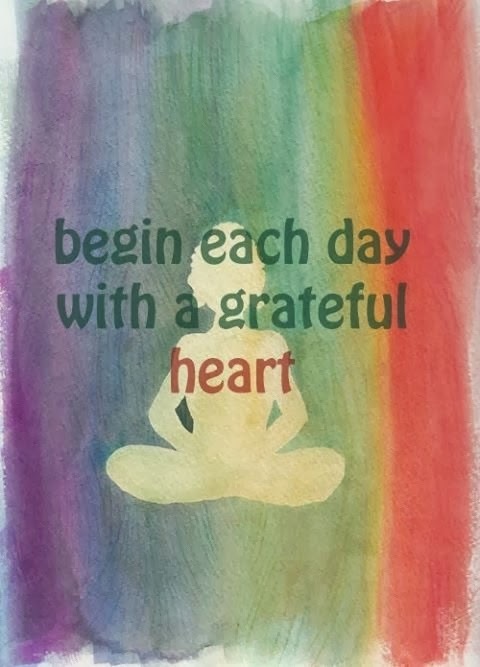 When you practice gratitude with mindfulness, continuously, you will feel its magic liberating you. You will fly free. Unburdened, unshackled, unaffected by whatever circumstance you are placed in. Don’t wait to thank Life. Keep giving always and be thankful for the opportunity to serve. That’s the way to truly be grateful for this Life and this experience! Remember that even the ability to hope is not stemming from our own abilities. It is coming because we are blessed with that sense of hope by creation. I remember this definition of blessing somewhere. It goes somewhat like this: “If you woke up this morning with more health than illness, you are more blessed than a million who will not survive the week. If you have never experienced the danger of battle, the loneliness of imprisonment, the agony of torture or the pangs of starvation, you are ahead of five million people around the world. If you are able to walk around in your country without fear of harassment, arrest or torture of death, you are more blessed than several hundred million people in the world. If you have food in your refrigerator, clothes on your back, roof over your head and a place to sleep, you are richer than 75% of the people in this world. If you have money in the bank, in your wallet and spare change in a dish someplace, you are among the top 8% of the world’s wealthy. If your parents are still married and alive, you are very rare.” How true. 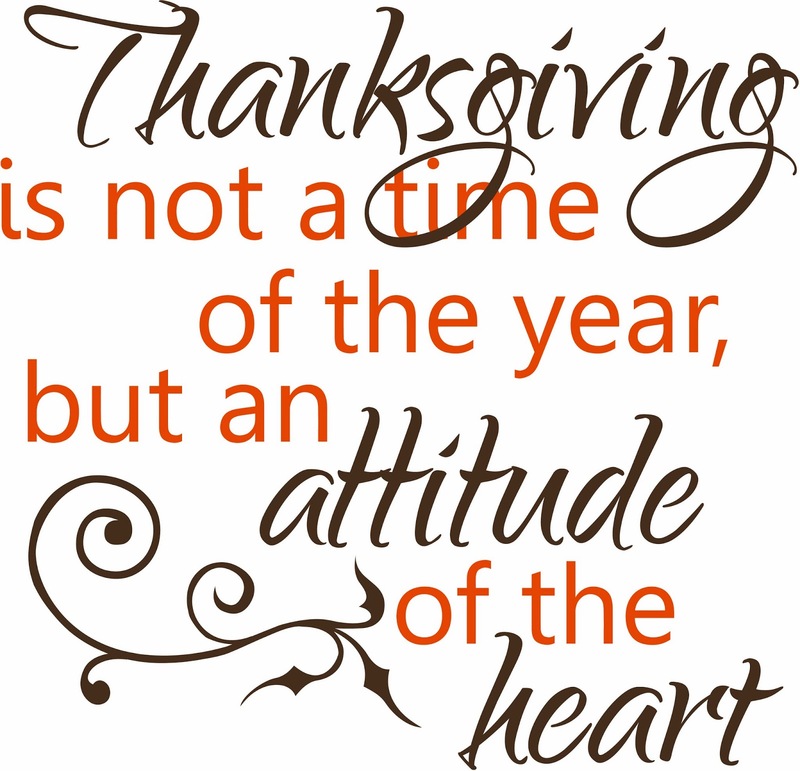 It is this spirit that gratitude, or thanksgiving, celebrates. Thanksgiving does not mean waiting for the last weekend of November each year to say your thanks for all that you are blessed with. Thanksgiving must be a daily celebration. Much as we postpone happiness, we postpone gratitude as well. We have in fact made gratitude conditional to our wants being met. I can be grateful if I get what I want, has become the excuse we subconsciously keep giving ourselves. Remember that Life acts in ways beyond our comprehension. Yet every now and then you will find people who are grateful to Life for the opportunity they have to serve humanity. These are folks who rise above their current realities and problems and look at themselves as solution providers, enablers, who serve because another’s need is more than their own. If Mother Teresa is an ultimate example of selflessness, let us also know that there is a serving saint dormant in each of us. That saint within us will become awakened only when we practice gratitude. In the Bible, the disciple Paul instructs, “In everything we give thanks.” What he means is that it is impossible to know the outcome of each event in our Life. But if we remain grateful for each moment, each experience that we live through, we will find ourselves being happy and peaceful with whatever is.